Generate new business with the brand that event professionals prefer 6 to 1 over the competition. 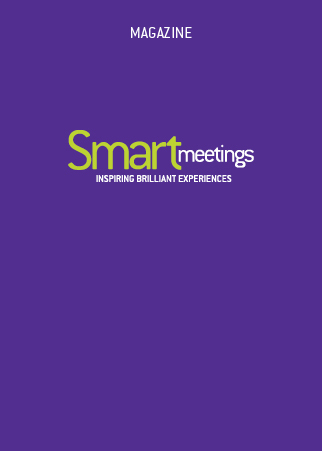 * Smart Meetings has the tools and resources you need to secure the business you’re looking for. 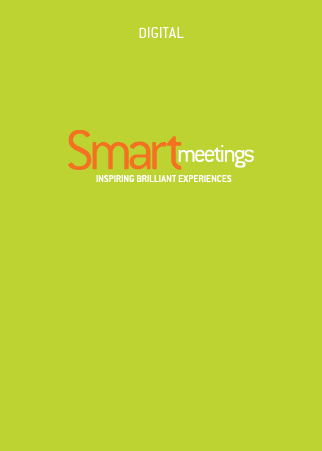 Choose from one of our tactical marketing approaches, such as print, online, or events to target meeting planners in a selective way. Or, partner with Smart Meetings on an integrated marketing program that combines many strategic approaches to reach planners and nurture those relationships. 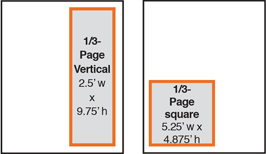 The image dimensions of a medium rectangle are 300×250 pixels. 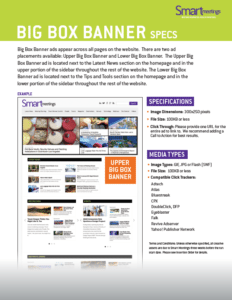 The ROS medium rectangle appears across all pages of the website. There are two medium rectangles to choose from based on their positions: upper and lower. 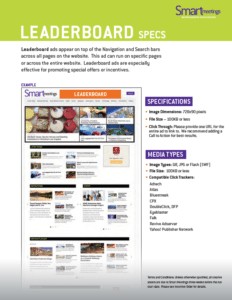 The image dimensions of a leaderboard are 728×90 pixels. The ROS leaderboard appears on top of the navigation bar across all pages on the website or a specific, targeted webpage. 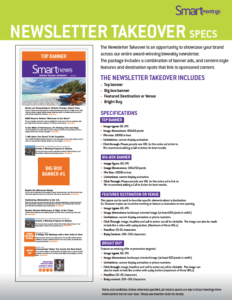 The eNewsletter Takeover is an opportunity to showcase your brand across our entire award-winning bi-weekly national newsletter or weekly regional newsletters. 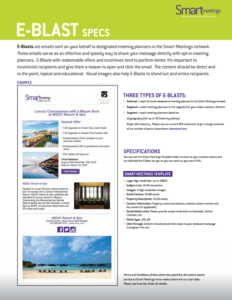 The Template eBlast is created by Smart Meetings. 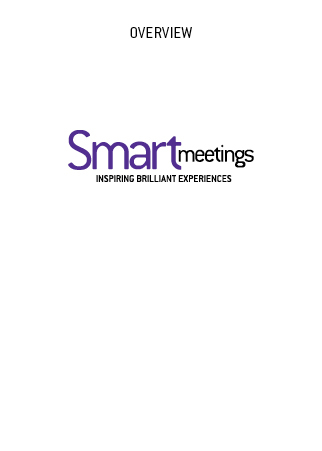 Each eBlast is sent to a targeted list of your choice to increase awareness and participation from your clients to provide incentives or information about your venue. The Custom eBlast is turned in as an HTML build. 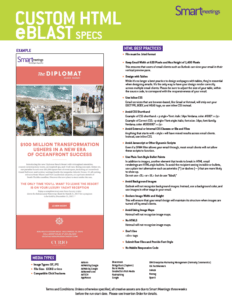 Each blast is sent to a targeted list of your choice to increase awareness and participation from your clients to fill in any gaps you might have. The Survey Sponsorship is a lead-generation and brand-awareness campaign and an effective tool to increase exposure for your own sourcing. 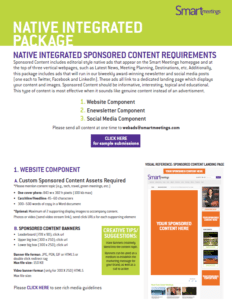 The Native Integrated Package includes three separate components: the website component, the eNewsletter component and the social media component. Further customization can be done for more strategic marketing. 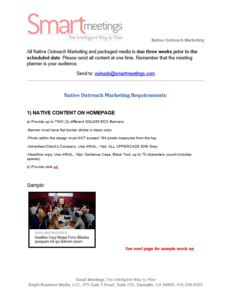 The Native Outreach Package consists of a big box banner and a leaderboard. In this package, you will receive an article mention in our weekly eNewletter and social media outreach stimulating your outreach marketing. 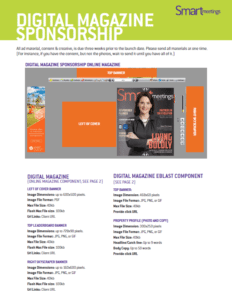 The Digital Magazine Sponsorship is composed of inclusive positioning: left of cover, top leaderboard, right skyscraper and top banners.